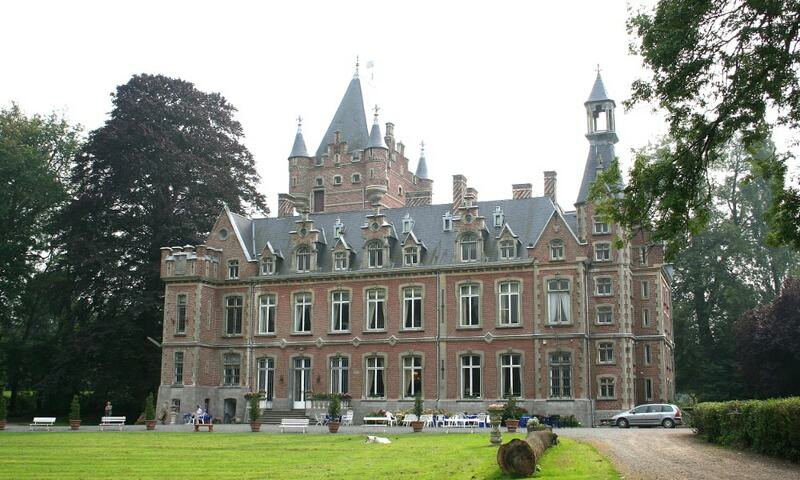 Chateau de Louvignies is located 6 kilometers from the town of Soignies, in the Hainaut Province of Belgium. It was designated as the seat of a lordship in 1389 and was acquired in 1716 by the Governor of Charleroi, Rodrigo de Peralta, who built a castle surrounded by a moat. In 1767, the structure was modernized with a basement addition, a tower and a ground floor room decorated to 18th-century tastes. In 1798, through marriage, the castle became the stronghold of the Villegas Family. At present the grounds are open to the public. The interior design, furniture and household items which belonged to the Villegas Family have been preserved in the home. It is representative of the Belle Epoque period.